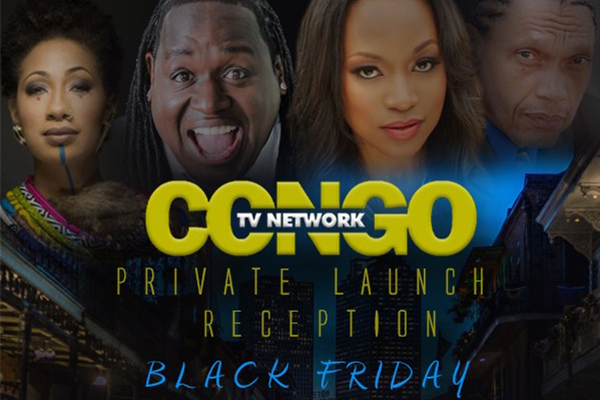 CONGO TV OFFICIAL LAUNCH PARTY | A.M.P.S. 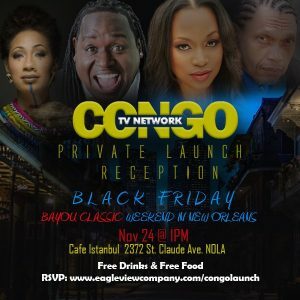 Congo TV will officially launch on Black Friday, Nov 24, 2017. A special launch reception is set to take place in New Orleans during the Bayou Classic at 1pm on Nov 24. All attending guests will get free food and drinks. The Wright Brothers will also premiere several new preivews of upcoming programs on Congo TV Network. If you’d like to attend, click below to RSVP.